i would just use it to watch my dog! and possibly for security when we get a house! Nifty little gadget, love to have one! I’d like it to keep an eye on my dog – I’d feel better watching him on the rare occasions when I leave as he can have seizures. But there are some times when I just have to leave him (like my own medical appointments). Thanks. I’d like to know when the kids get home. They sometimes forget to call me and I can’t always watch the clock. For me, it would be for watching my cat when I’m away from home as well as general security. my main reason is that i have an older dog, 15 1/2, who is deaf, almost blind, has a little dementia and has terminal cancer. i dont like to leave her alone. it is hard for me to go out and make sure she is safe when i leave even though i have taken precautions. i would love to know that i can watch her to make sure she is okay while i am out. i also would like to keep tabs on my other 2 4 legged girls because they get into lots of trouble sometimes, especially the younger girl. she likes to climb up on things and take things down, chew on them. i never know what she is going to get into. I’d love to see what Preston does while im out for peace of mind. Added security would be a bonus. We’ve been talking about getting one of these to see which of our dogs goes nuts when we aren’t home. I’m constantly worried about my dogs when I am away. Since I got my German Shepherd pup, he has me always worrying, so I seldom leave the house unless he is with me. This would help put my mind at ease, while I check on him. I would like to see how my dog is doing. My son recently moved out and he took his dog and my Tuc is feeling the loss. I just want to make sure that he is doing ok while I am gone. Added security to make sure he is okay and not in danger. Ease of mind. I’d use this to check on my dogs while I’m away – especially the one that has a touch of separation anxiety. My cat is hyperthyroid. He will be in isolation at a vet office for a week during radioactive iodine treatment. I would like to be able to see how my cat is doing during the treatment, since I will not be allowed to visit him. Also, I will need to monitor and clean up litter box usage on a different floor of my house afterwards so that the radioactive contents do not injure anyone in my household. I have difficulty getting up and down stairs, so monitoring the cat when he is in the basement would be very helpful, in general. I have three Treeing Walker Coonhounds and three cats (all rescues). Of my dogs, my two boys are the ones most likely to get into trouble when I’m not home. They also bark FAR too much, and I’m working on getting that under control. Of course, when I’m not home, they can bark freely. This would give me a way to correct them even when I’m not home. I could also keep an eye on my older cat, who hasn’t been feeling well for the past few days. 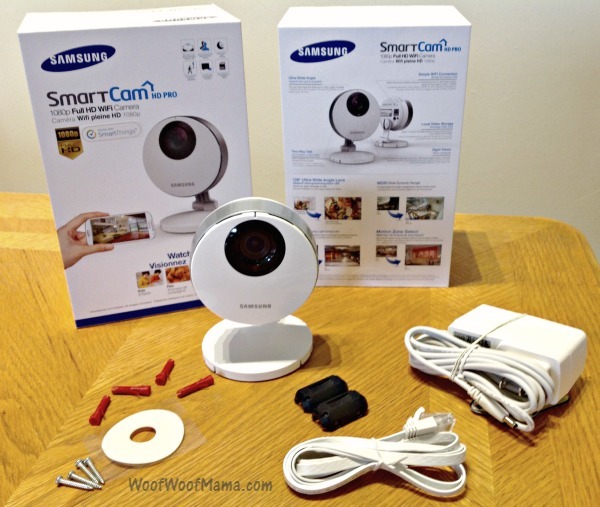 I would mostly like a wifi cam for security as I live in an apt. I would love to watch our 2 dogs, especially when we are out of town. We would love to be able to keep an eye on the house while we are away as it is very old with old wiring. I’m always afraid of fire. We were also broken into a few months ago & so glad all my pups were ok. This would give me lots of peace of mind. 3 of my furkids are pretty old and I feel better if I could keep any eye one them. I lot one new pup and it might get interesting to see what he is up to! I would love to have this for when my kiddos get home from school and I can check in on them and make sure they’re safe before I get home. I would like to see what my dogs do when I’m gone. They bark at everything they see outside when I’m home, want to see if they do it while I’m gone too! I’d like to watch my dog while I’m at work, and for home security. I would love to give this as a gift to my son and DIL so that they could keep an eye out for when the girls get home from school, keep an eye on the dogs, and for security when they travel. I like to see who is coming to my door. I know my little dumpster diver would be trying to find a way to get into something. It would be great to figure out how she is actually doing it. I don’t think anything is beagle proof. I would totally like to know how my dog gets into the pantry and closets. She is a little thief, and a good one at that. I would love to be able to check in while i’m at work to see what my puppy is up to. I would like to watch my 3 dogs and make sure they are okay. I would use this to watch my dogs. They are seniors and I would like the peace of mind of “checking” in on them. What a cutie! I would definitely use this to watch my big baby, Bentley. I also have a precious cat, an Eclectus parrot named Romeo and a hamster. I would love this for security coverage and also to check in on my fur babies. I work in an emergency rooms so I am gone for long hours- this would be so reassuring to be able to check in! 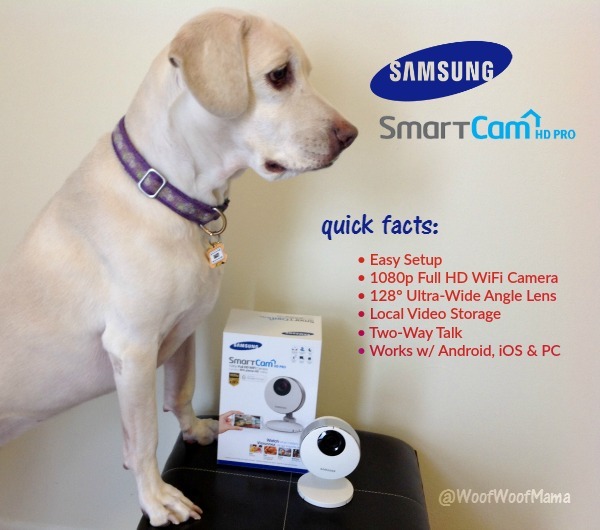 I want to have a home WiFi camera to keep an eye on our dogs. I want to see what my furry little varmint is up to when I am gone. I would love to peek in on my German Shepherd and 2 cats all day! I would like it for security purpose for my children. I would love this for security & to see what our pets do when we’re away! I’ll use it for security. I’m curious about what my pets do when I’m not home. security, I think my dog is so friendly that anyone could come in and he’d bring them a toy. I would like to watch my pets but I like this mostly for security. I like being able to see my house even when not home. 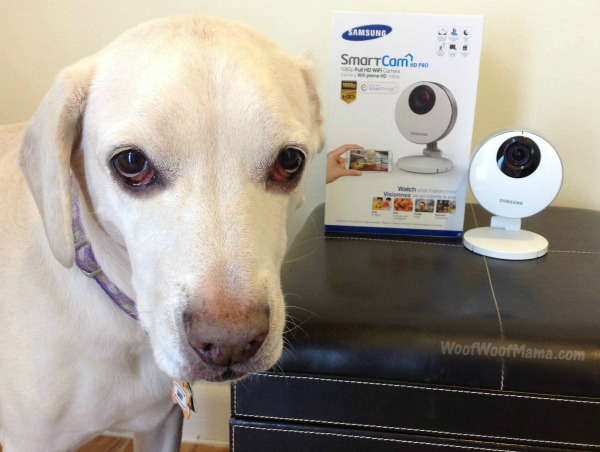 I’d love this camera to check on my dogs while I’m gone. I would love to be able to check in on my cats and dog while not home. I would be able to keep an eye on the kids while I’m cleaning in the other room. Toddler can’t be trusted even in a playroom! I would use it for doggie watch and home security. I’d Love To Have To Keep And Eye On My 3 Dog’s. I would love it for security reasons and also just so I can see my dog while I am away at work because I miss her so much. I would love to watch what she does all day long! I have a senior dog who will be 15 in May. I would love to keep an eye on him while I’m out! I would also love it to just keep an eye on everything! My main reason is to have peace of mind while I’m at work that everything is taken care of. I’d love the camera for security reasons but also would love to be able to see what the dogs are doing while I am away. It is hard to know who does what when it comes to messes and this would be helpful for training. My main reason is for security as I am having some trouble with the neighbors. I’d like one for security reasons since I live alone with my daughter. I would absolutely love to have this camera in my home for several reasons but my primary is my father in law had a stroke and had to move in with us. He really needs someone home in the house with him at least to keep an eye on him. On the times where I have had to go to my daughters school for a few hours or go to work for a few hours, it becomes a mess. Either he calls one of our cells and hangs up and then won’t answer and I end up rushing home in a panic that something is wrong or he just doesn’t answer when we call. This would be great to have to help keep an eye and know if we really need to race home or not. 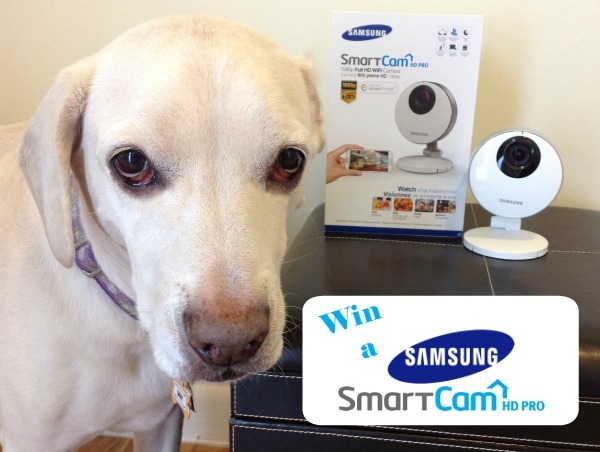 I would like to have this Samsung Smartcam for security. I would like to see what my fur baby does when I’m away also. The reason I would want this is to watch my dogs. I wonder what they do all day and if they bark a lot. I would love to have this for security. My husband travels a lot and this would be a big help! I would like this for security. I would like to have this and use it for the security purpose of it. I would use this for security. I would also use it to see what our 3 furbabies are up to when we are not at home. I like to make sure our older one who is 14 is doing and if there is anything I do for her to make her life easier when I am not at home. I think I would like to have it for security, and for keeping an eagle eye on my fur baby. I would like it mostly for keeping an eye on my dog. It would also give me a bit extra security. I want a camera so I can check on my cat when I am gone. I’d like to have this so that I can keep a check on my dogs. My girls are not big enough to leave alone yet but checking on my puppies would be grat! My top concern is security and I would love it for that purpose, but I also would enjoy seeing what the dogs are doing while I am not home. I would like to win this for home security for when we take long trips to my parents house (quite often). My pets are all seniors, so I’d like to be able to keep an eye on them. I’d like to watch my dog! It would be great to see our dogs behavior while we are away and also any burglars. I want to be able to watch my dogs, Winnie is 13 and I would love to be able to see here when I am not home.